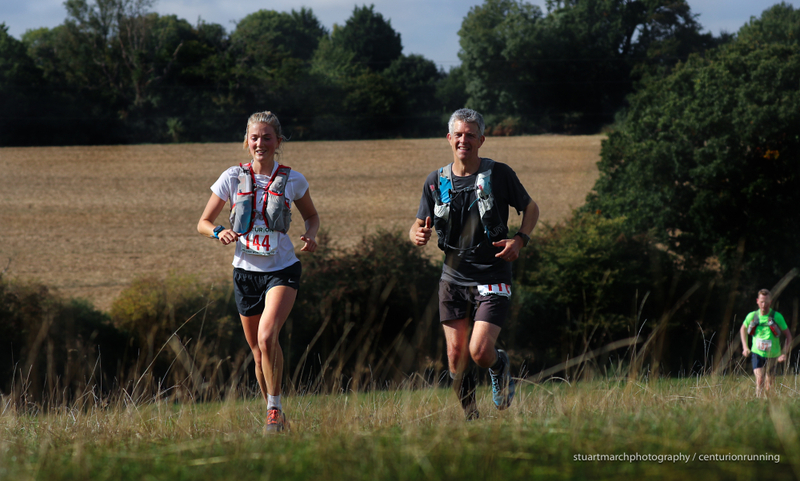 This third edition of the Chiltern Wonderland 50 saw 241 runners congregate in Goring on the banks of the Thames, ready to tackle this beautiful 50 mile loop of the Chiltern Hills. The course is almost a figure of eight, initially running the first 3.5 miles of leg four of the Autumn 100, down to Whitchurch before banking off up the first climb of the day. Through Tokers Green and Bix check points to 17 miles the course is fast and runnable, then the hills kick in and from there to Christmas Common at the 30 mile mark the field usually splits up and gaps grow between the runners. The final 20 miles are the fastest of the day and it's those with running legs left in them that benefit from the fantastic trails over the final third. Conditions on the day were close to perfect. The trails were bone dry, the nettles down against earlier years and temperatures averaged 17 degrees across the day. Out front from the start were a group of three featuring Oli Thorogood, back from his second place finish last year and clearly looking at a possible record breaking run, Geoff Cheshire and Steve Hobbs. The pace early on was fast, the trio making it to Bix three minutes ahead of Jon Ellis' split on his way to running a 6:25 CR last year. 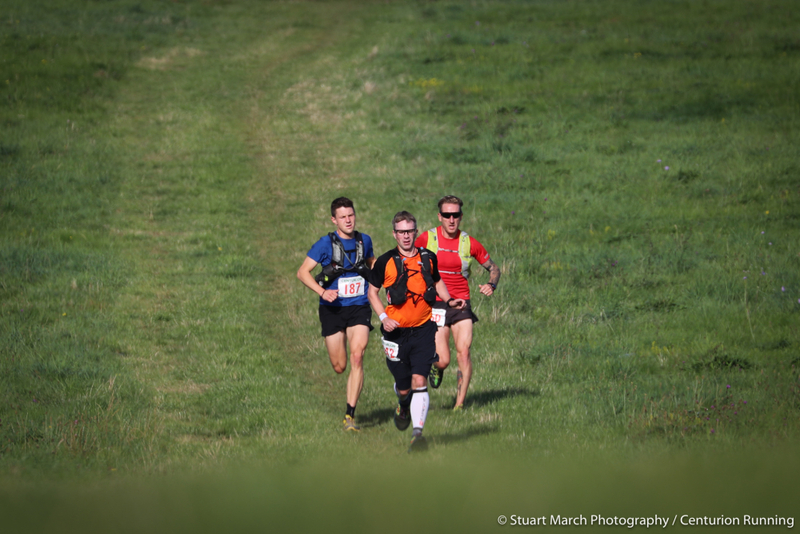 Over the next 10 miles, Geoff and Oli forged ahead and Steve began to drop back, eventually being passed by Ollie Stoten who climbed to third at Grims Ditch, in his now trademark power finish. Just two mins separated Geoff and Oli for much of the second half of the race, the leading drifting back and forth until with five miles to go Geoff was able to finally kick away from Oli to bring home the win in 6:38. Oli's strength on the climbs was just bettered by Geoffs descending and flatter running. A gap of just three minutes separated them by the end. Ollie Stoten took his second consecutive podium at our 50s, running in with a 7:02 for third. In the womens race we saw a dominating run from Amy White from the outset. She had a two minute lead at check point one and stretched that all day. Leading by half an hour at the half way point it seemed likely that we would not only see a course record, but a big chunk taken off of it as she looked likely to close in on a 7:30 finish time. 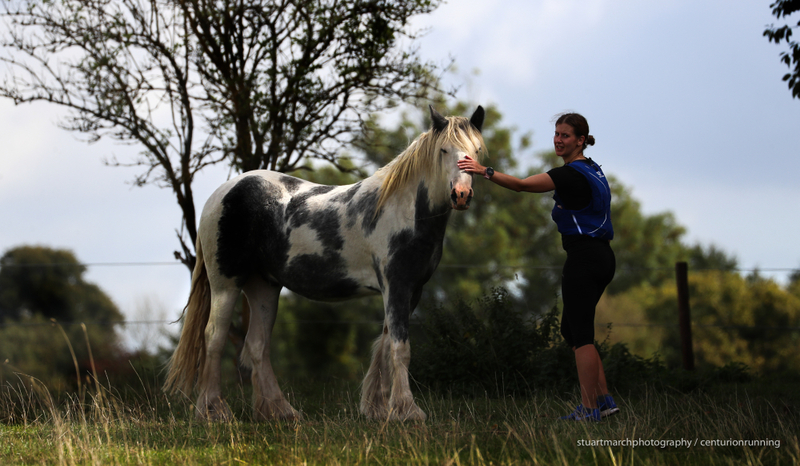 However just before Swyncombe at around the 50km mark, she began to suffer issues with her hip flexor and it became somewhat of a grind from there as the problem became more and more acute. She leaked time to Eddie Suttons course record through the final two check points but held on to come home with a 7:55 time for a new record time by just over 3 minutes. 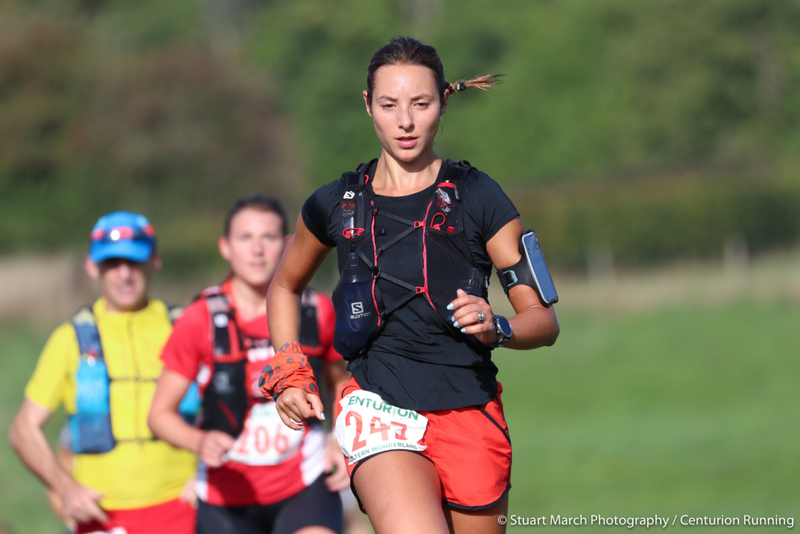 She was in a good deal of pain at the finish, but will hopefully not require too much recovery before she starts out at her first 100 mile event back in Goring at our Autumn 100 in just under four weeks time. Behind Amy, Christine Howard ran another solid race and held second place all day, eventually running home in 8:44 thereby also picking up the 40-49 Age Category win. Third place went to Rachel Dench who went back and forth with ladies GS50 leader Lisa Martin early on, before holding on to that spot to the line in a time of 8:58. 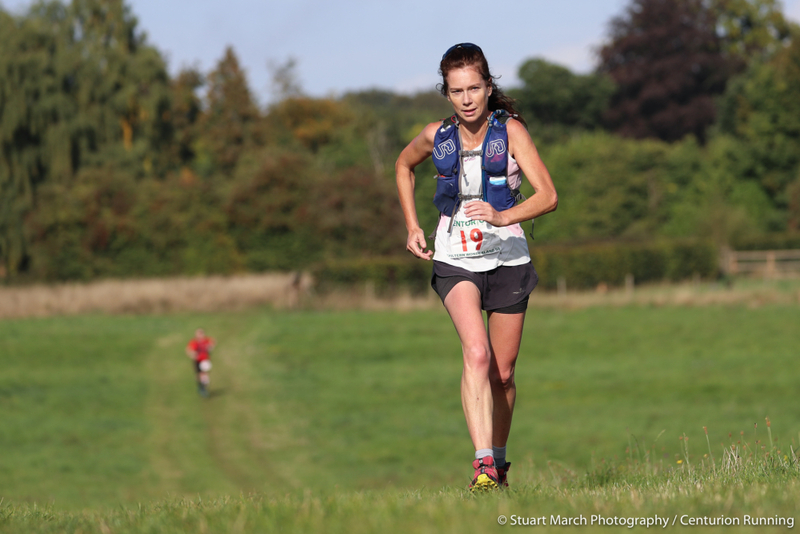 In the age category awards, the FV50 prize was taken by Tamatha Ryan in a strong 5th place overall run of 9:10. In the mens, the MV40 title and the new age category record was set by overall winner Geoff Cheshire. 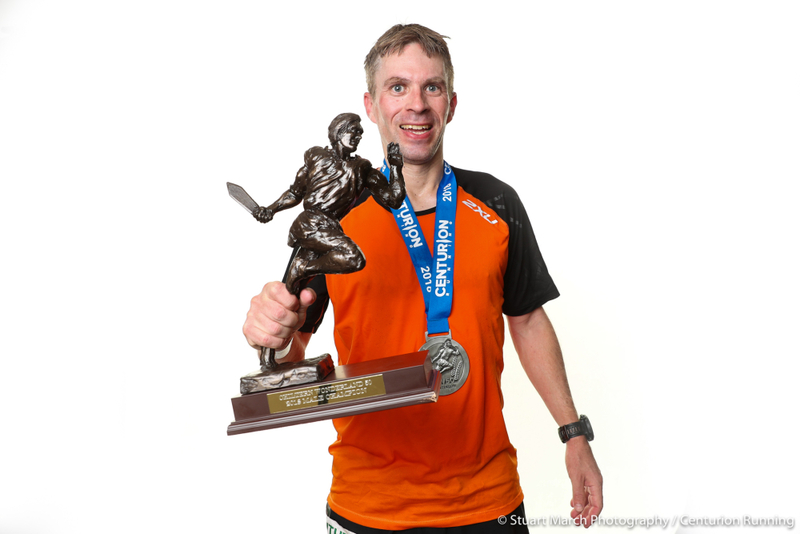 The MV50 award went to Andy Jones in 8:41 and the MV60 prize to Ian Lowe in 10:57. The 50 mile Grand Slam standings have not changed but certainly look as exciting as ever. The leader coming in to the event, Rob Hayward, ran a great race coming home in 7:38 having passed James Warren who currently sits second in the table, with around 15 miles to go. The gap at the end was small however and the gap between those two going into Wendover Woods 50 and the fourth and final race of the series, is just 27 minutes. 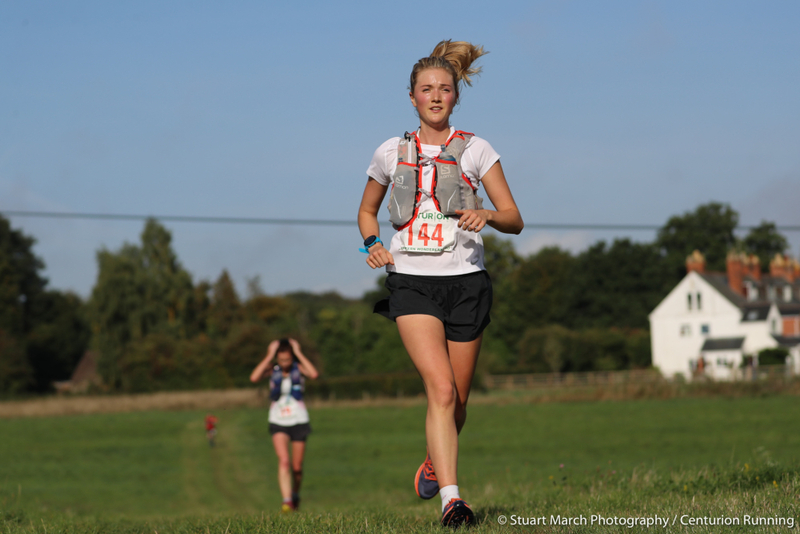 In the womens, Maria Russell now leads with a solid run, taking the overall lead from Lisa Martin who struggled with injury on the day but bravely held on to finish and will want retribution at Wendover. All in all 211 finishers crossed the line which is a new record for this event, interestingly each of the three editions of this race have seen an 88% finish rate which is just underneath our overall average across 50 mile races since 2011, of 89%. Thanks go as always to the 49 volunteers who made the race the safe and successful one it was and to the landlords and farmers of the Chilterns for allowing us to take the runners on this picturesque route over hills and through the valleys. Thanks also to our sponsors for their continued support. Ultimate Direction, Injinji, Petzl, La Sportiva, Runderwear, Gu Energy and Tailwind Nutrition. 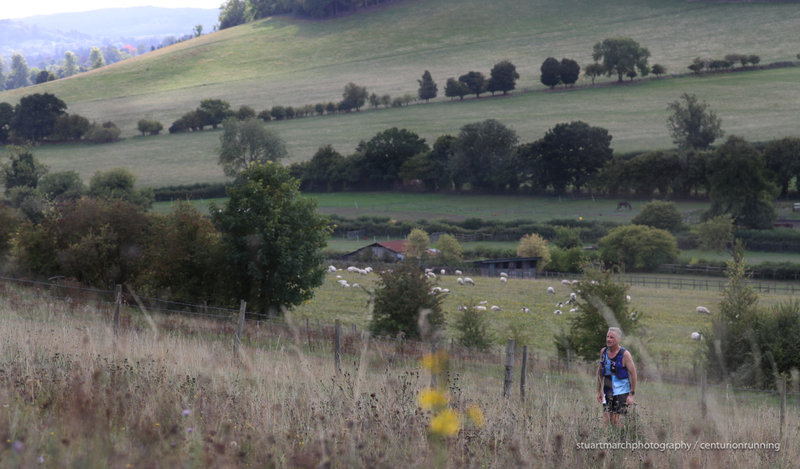 Next up is the Autumn 100, back in Goring over the weekend of 13th-14th October. 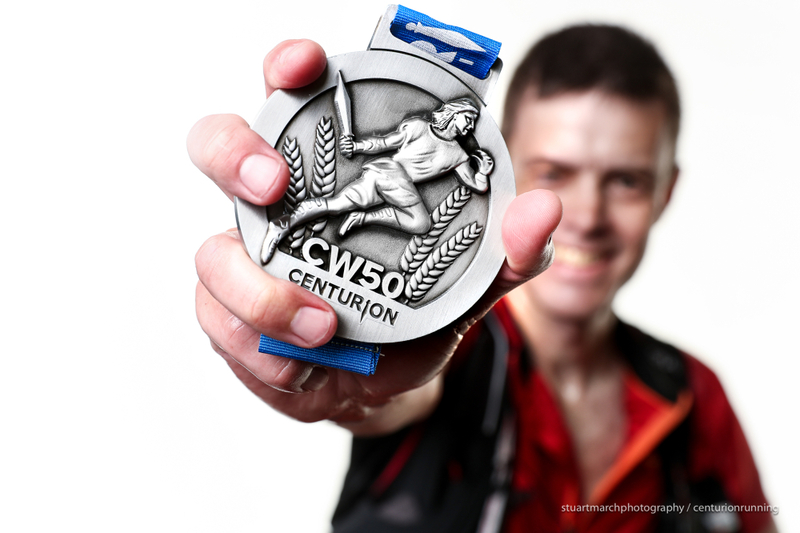 We welcome to that one some of the cream of UK ultra running, with many international names toeing the line. We are hopeful of seeing some blisteringly fast times as we have in many of the previous editions. Follow along over race weekend via the live link on the home page.